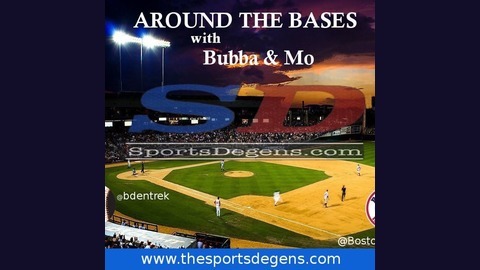 Around the Bases is a weekly Baseball based podcast with 2 baseball guys, Bubba and Mo. They will discuss the current news around baseball, talk fantasy baseball and much more. 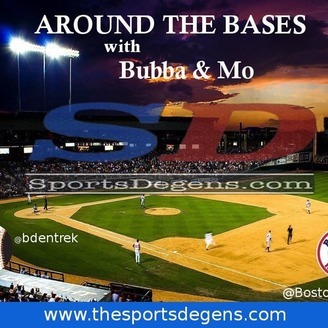 Around the Bases with Bubba & Mo EP 107 - Ozzie Albies did What? Welcome back to another episode of Around the Bases with Bubba & Mo. On ATB EP 107 the guys will go over more extensions (Matt Carpenter, Ozzie Albies), talk about the surprise DFA of the Red Sox, Blake Snell to the DL, what the Mets are doing with Edwin Diaz, the Giants idea to increase offense and then some Fantasy Baseball talk involving statcast and more. As always thanks for listening to another episode of Around the Bases with Bubba & Mo. We'd appreciate it if you could give a rating and review on iTunes.